If you do a little research to try and define millennials by date or age range, you will find many competing definitions. Some measure this generational category from the mid-1970s to 2000, others state 1996 is the end date, and few only consider someone to be a millennial if they were born after the mid-1980s. However, the one underlying characteristic that all definitions agree on is that this generation is conspicuous for its reliance on technology and its intimacy with all things digital. The unique relationship millennials have with technology has significantly influenced the modern workplace. The rigidity that existed before the internet made remote work possible has been replaced by a business landscape that is remarkably flexible. The modern workforce is embracing solutions that give individuals the power to work from anywhere and be productive whenever they choose. Millennials, who have never known a workplace without the internet, are embracing these solutions and driving this change. The freedom that millennials have known since entering the workplace has also permeated the way they use technology. For millennials, technology is a single spectrum with no clear delineated areas between applications for work and personal use. This is clearly seen in the way they communicate. Email, the mainstay of traditional business communication, is slowly being replaced by instant messaging platforms where the individual’s phone number or user handle does not necessarily identify the organization they represent. Social media is seen as a single platform where both personal and corporate information is shared on public services, again under the individual’s identity and not that of the organization. Additionally, millennials’ views on digital privacy typically contrast with those held by previous generations, where personal confidentiality was of utmost importance. These digital usage habits can create potential security risks in environments where secure access is still managed using traditional solutions. Ideal traditional IT security was built on the premise of an impenetrable perimeter. Everything beyond the perimeter was deemed untrustworthy, with firewalls tightly controlling what could enter or leave the corporate network. With the advent of remote employees and the rise of cloud services, the corporate perimeter has relocated from the firewall to the edge device. This has created a technology realm where identity has essentially become the new perimeter — a paradigm shift that has forced organizations to rethink how they secure access to their systems and information. Millennials are now the second largest population in the workforce. As a result, the companies they work for should embrace and deploy solutions that meet the millennial values of flexibility and support the concept of improved work/life balance. This solution requirement often conflicts with the traditional conviction which believes that increased flexibility leads to a lower level of security. Organizations require a solution that can meet the demands of their millennial workforce without compromising security. To ensure their success, companies must take all these factors into consideration when securing access to their systems. With the changing landscape of cybersecurity, where the new perimeter has evolved to an identity, key security objectives of an organization should evolve accordingly. Keeping their employees productively engaged, and their identities secured, should be considered along with the primary objective of protecting organizational (and customer) information. This is an opportunity for a balance to be struck — between creating the flexibility required by the millennial workforce and mitigating the risks that millennials’ digital habits have created. Millennials thrive on freedom, and Okta’s cloud-based identity solution provides this through workplace flexibility in addition to ensuring systems are secure and protected. Okta’s Single Sign-On (SSO) solution provides reliable integration, enabling SSO for all your web and mobile apps, with a full-featured federation engine and flexible access policies. Enhanced usability and an improved authentication flow create a customizable user experience, which essentially provides a simple way for end users to access all their applications on any device, be they on-premises or in the cloud. Okta SSO not only provides the agility required to meet the challenges facing modern millennial organizations, it also provides a reinforced security platform with real-time logging, reporting, and geolocation tracking. In addition, adaptive authentication secures access with contextual awareness and multiple multi-factor options. Millennials have introduced many changes to the modern workplace that have been made possible by the proliferation of the internet, which has always been an integral part of their work environment. These changes may have created a challenge for traditional IT security paradigms. But with Okta you can transform the challenge into an opportunity to include new security paradigms while providing millennials with solutions that not only meet their contemporary needs, but also ensure the integrity of your systems. Check out our product page to learn more about how Okta’s solutions can provide secure access for your millennial workforce. Samuel Lee is security practitioner with nearly a decade of experience working in Threat Intelligence, Cloud Security, and Identity & Access Management (IAM) systems. In roles at IBM, Barclays, and GIC, he has implemented best-of-breed security solutions in the defense, financial services, and government industries. 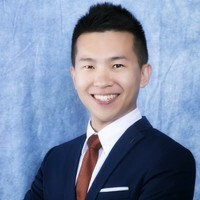 While working as a Summer MBA Product Marketing Management Intern at Okta, Samuel is concurrently pursuing a Master of Science degree in Systems Design and Management at MIT School of Engineering and Sloan Business School. He also works as a MIT Research Assistant in Cybersecurity and is looking forward to teaching incoming MIT students this fall.